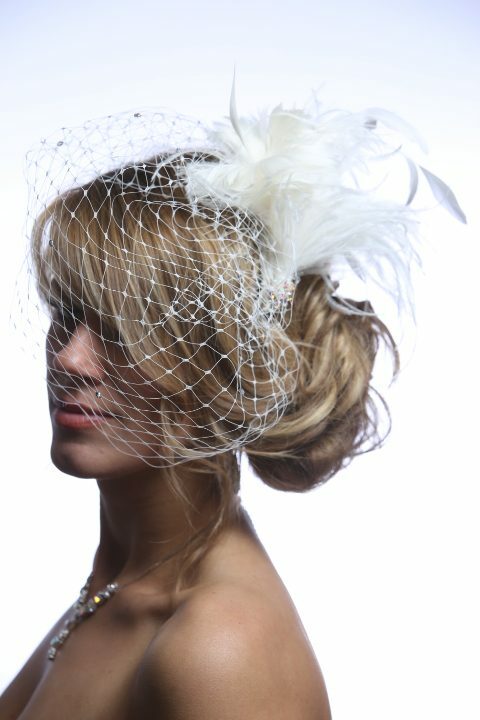 Very luxurious ostrish feather trim adorned with rhinestones and set on a white bridal veil. Gorgeous Ostrich Trim which is finished off at the base with large rhinestones. 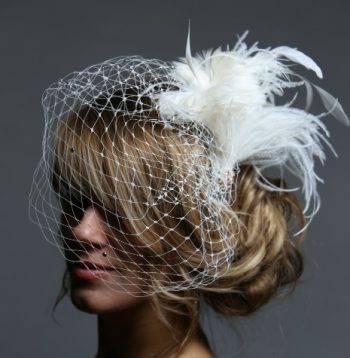 Set on a white bridal veil and fixes with a 5cm clear plastic comb. 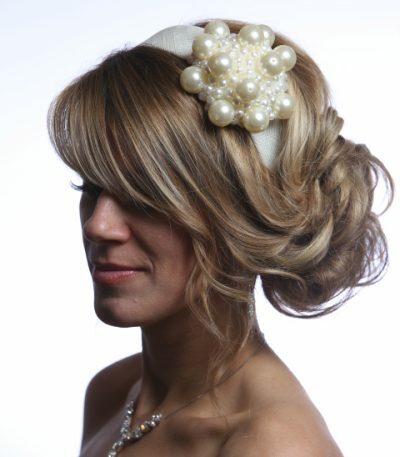 Can also be set on a headband if needed. 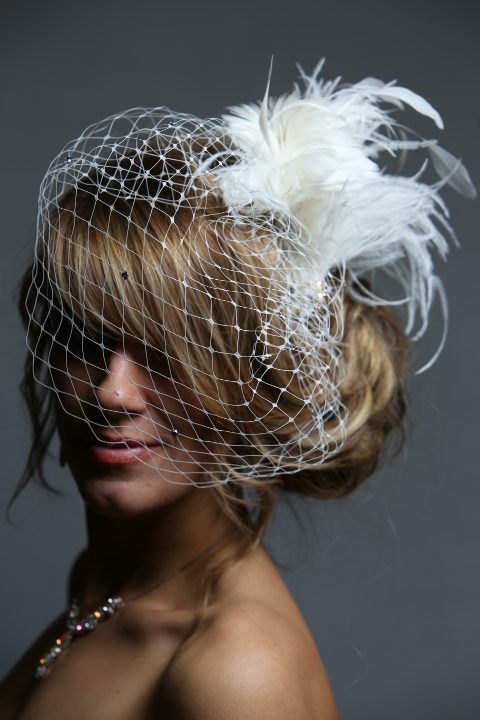 Of course all our styles can be customized and for a small extra charge we can add rhinestones, feathers, or veil.